Once you make this easy Homemade Taco Seasoning, you'll never go back to buying those overprice packets again! It's healthier and cheaper, plus it has none of the fillers. It's also great for more than just tacos, it tastes great on veggies, meats, and more. 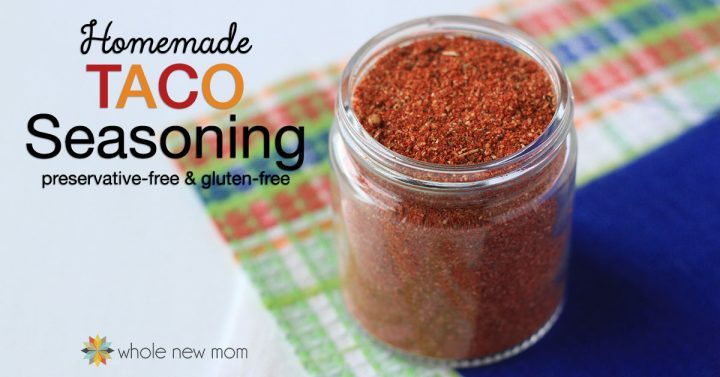 This Homemade Taco Seasoning Recipe fits in perfectly with how I run my life–and my kitchen. I just love making my own pantry staples, from non-dairy milks (like Easiest Almond Milk and this Easiest Coconut Milk) to Powdered Egg Replacer, Easy Homemade Ketchup, Homemade Salad Dressings, and more. But one thing that I really get a kick out of (yes, I really get into this) is making my own homemade seasonings. 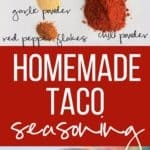 Over the years, we've found or developed quite a few of them including chili powder, celery salt, this all-purpose seasoning and this Dorito® seasoning, but today I'm sharing a new one with you — a Homemade Taco Seasoning recipe. Making your own homemade seasonings (like this DIY Taco Seasoning) insures you will almost never be out of a seasoning you need for something you're cooking, and that means time and money saving. For example, just the other day, I had a craving for taco salad, but hadn't made taco meat in years. So I had no taco seasoning in the house — and on our budget (and with our food sensitivities and life-threatening food allergies), eating out is not a pleasurable or viable option so heading out for tacos wasn't going to happen. Basically it's not my idea of a fun time to pay about $15 for my son to get a plain chicken breast and a side of steamed veggies. Just have a few meals like that and pretty soon eating out loses its appeal. Anyhow, it's frustrating to find yourself excited to cook something only to find yourself missing what you need. Sometimes you can find an easy substitute, but other times, like in the case of taco seasoning, you just need to have exactly what the recipe calls for. So I got to work in the kitchen and tried out a few recipes and came up with a DIY Taco Seasoning that fits the bill. And it's very easy to recreate in a flash. Why Make Your Own Seasoning Blends? Why indeed? Isn't it easier to just buy those pre-made blends at the store? It can be, but here is why I love making my own spice blends. Save Even MORE Money (have you seen the prices of those packaged “Taco Seasoning” mixes at the grocery store? Ugh! 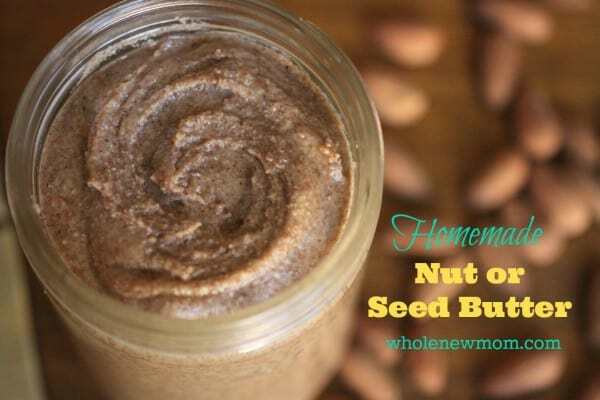 Seriously, try this homemade taco seasoning on this Vegan Chocolate Ice Cream or this Chocolate Avocado Ice Cream.It's amazing! So now on to the homemade taco seasoning recipe that tastes great on so many things….. I would strongly recommending purchasing organic spices. Many non-organic spices are irradiated and so aren't the best choice. Taco Seasoning, like any seasoning that is, or is made up of peppers, should be stored in the fridge to prevent oxidation. Really the possibilities are endless. Spice Brands: For my spice shopping, I really like Frontier Brand. I've done taste tests and the Frontier Brands have won out every time and boy, are they reasonable! Starwest Botanicals, has good options too. Homemade Chili Powder: If you would like to make your own chili powder, here's my recipe for The “Best” Basic Chili Powder. As with other taco seasonings, either use the mixture as is, or add approx. ¾ cup water to the beef and seasoning mixture to make a more “saucy” beef. You can also flavor beans, like lentils, with this mixture. About 2 cups of cooked beans will be the equivalent of one pound of ground beef. Multiple Batches: And as I said in my “Saving Time in the Kitchen by Baking in Bulk” post, I recommend making more of this in homemade taco seasoning in advance so that you have it on hand when you need it. Cook once, use two three four times or more :-)! 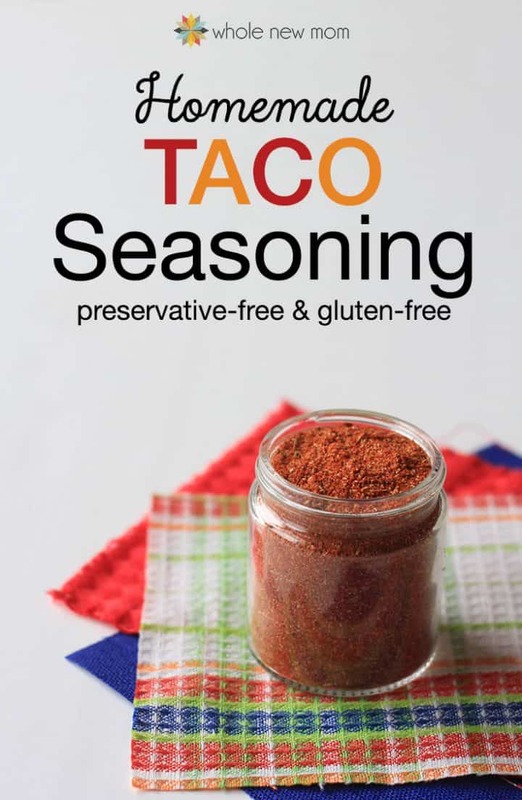 Standby Seasoning: We use this DIY Taco Seasoning even as a standby seasoning on our table. 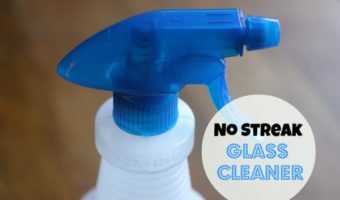 It tastes great on veggies and loads of dishes! Aleppo Peppers: For red pepper flakes, aleppo peppers would add a wonderful depth of flavor but red chilis are fine. Add More “Heft”: For a DIY Taco Seasoning with a bit more “heft” to it, add about 1 tsp flour or starch of choice to the mix. Of course, if you use a whole grain flour, you will want to store the resulting mixture in the refrigerator 'cause whole grains will spoil at room temp. 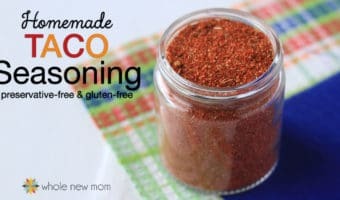 This Easy Homemade Taco Seasoning is so much healthier and cheaper than the store-bought packets and tastes great on veggies, meats, and even popcorn! How will you use this Homemade Taco Seasoning Recipe? Hi there. There is no such thing as organic salt :). Hope that helps and hope you enjoy the recipe! Amazing! You don’t need any taco sauce on top of your tacos. Great favor with just the right kick! Never going back to the store bought packets. This recipe was delicious and packed a little bit of a kick with the red pepper flakes. I made it 2 Tbsp per 1 pound of meat and added about a cup of water. My only complaint is it was very salty! I will be cutting back the salt substantially next time I make it. 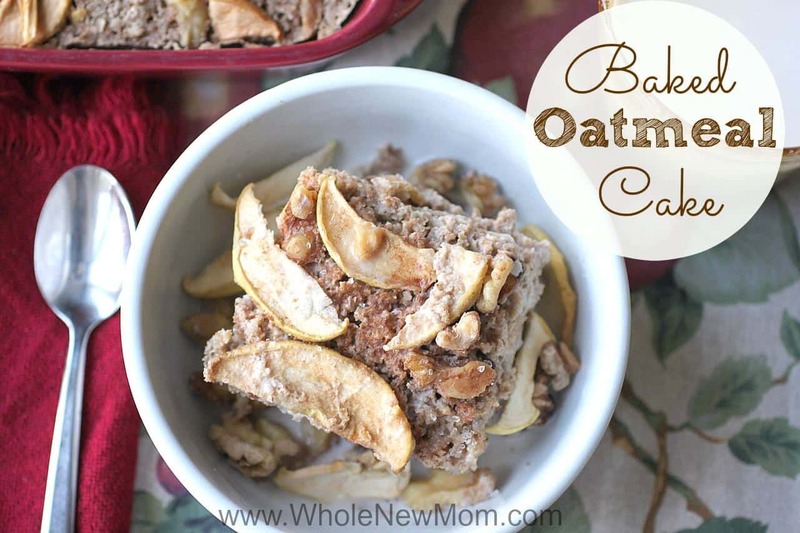 Overall, it is a great recipe and I will no longer be using the packets! Thanks and so glad you liked it! Salt is such a personal thing. I used to not eat as much salt but once we started using all natural salt and also since I learned about the benefits….however, I recognize that some people like less. 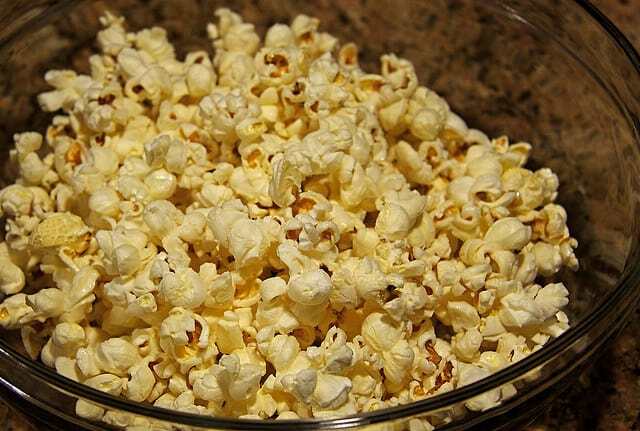 So I clarified in the recipe now–it’s to taste. Enjoy and thanks again! Our family loves this recipe. 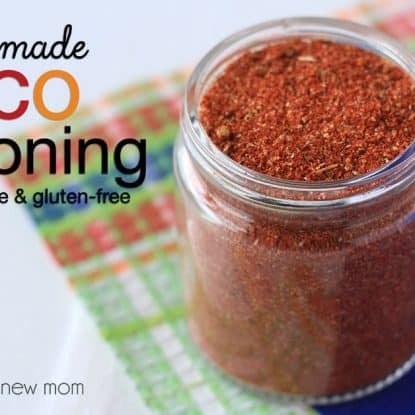 The kids won’t eat store bought taco seasoning anymore! And the ingredients are pretty inexpensive. Although it calls for 2 tbsp per pound of meat, we do t use quite that much. Maybe 1 1/2 tbsp at most. Thank you and so glad you like it!